Last Sunday the Kiwi Kidz Quarter Midget Club held their annual ‘Buddy Day’ at Rosebank Road Speedway. 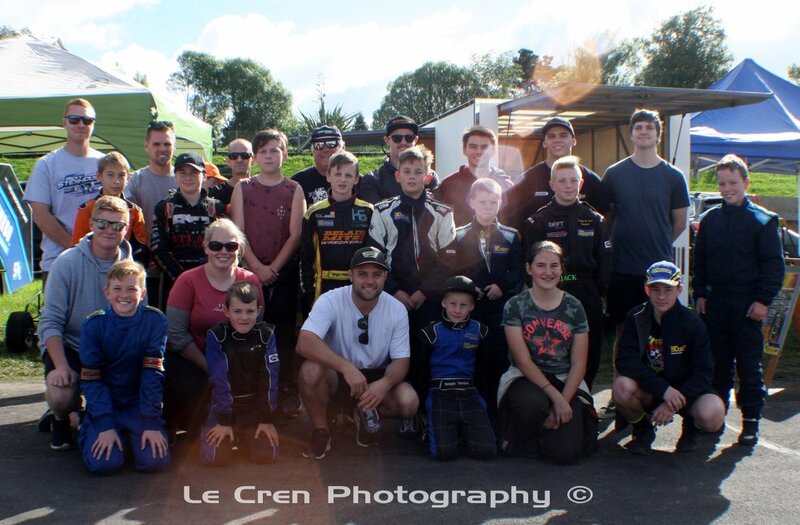 This was an initiative which started three years ago where a current kiwi kidz driver is buddied up with an ex quarter midget driver who now races in one of the adult classes. Gina Harris, Morgan McHugh, Michael Pickens, Brad Mosen, Brock Maskovich, Taylor Clarke, Ben Le Cren and Hayden Guptill were some of the mentors who gave their help, advice, expertise and support to our up and coming young stars of the future. Each kiwi kid draws a name out of a hat of the driver who will mentor them for the day. The mentor then watches them race and gives their advise on how they can improve. It is great to see how friendships grow between the drivers and their mentors which hopefully will continue into the season. We look forward to watching these young stars come through the ranks, just like so many of our past kiwi kidz who are now the current stars.